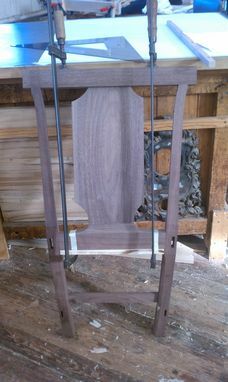 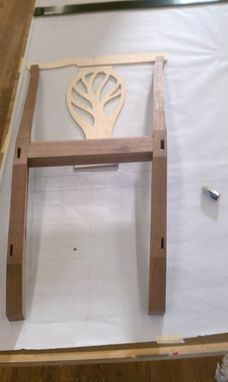 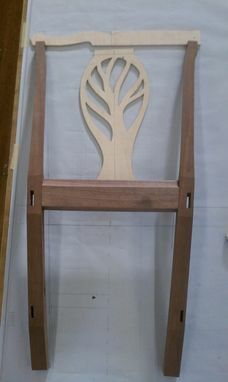 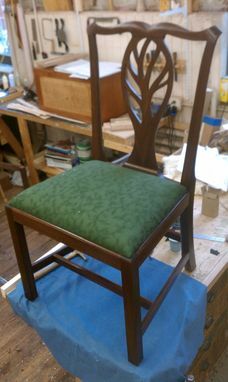 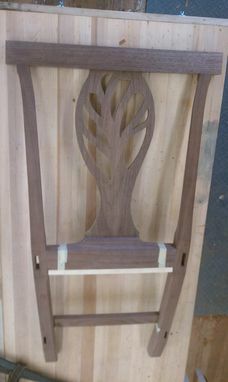 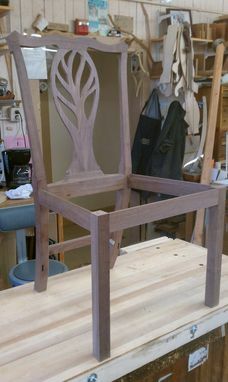 This Chippendale style side chair was a challenge in learning compound angle joinery. 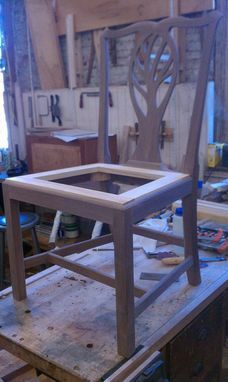 Almost none of the joints come together at a 90 degree angle, which makes it much more complicated than most furniture. 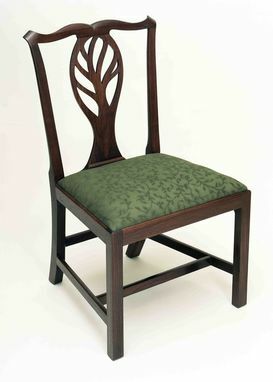 Traditionally these chairs have a symmetric geometric design for their back splat. 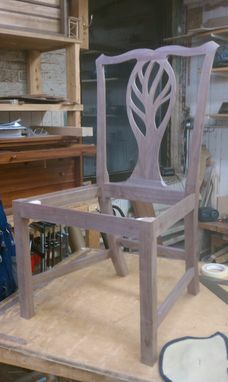 I wanted to do something more interesting and more contemporary, which led to my asymmetrical design. 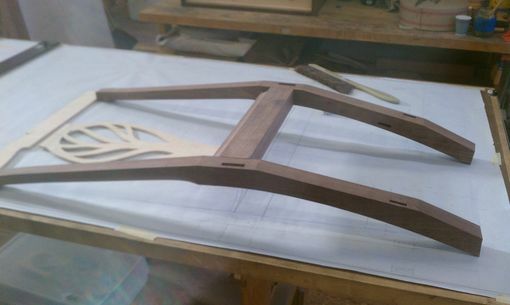 I like the flow of the shape. It alludes to a tree or to a leaf or to flames without definitively being any one of them. 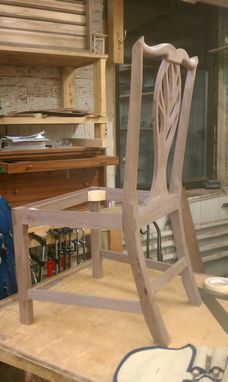 It is made from black walnut which has been darkened with linseed oil before being coated with polyurethane.